In the wake of natural disasters, let your giving be guided by both your head and your heart. Letting raw emotion drive your charitable giving can lead you to be less effective or even counterproductive. Many people just give to the first charity they think of, usually a big-name organization such as UNICEF or the Red Cross. While there’s nothing wrong with them, they may not be the optimal choice. It’s wise to expand your horizons. Look at efficiency, effectiveness and innovation when evaluating a charity. How well does the organization manage the donations it receives? How well does it address the issue it is designed to combat? Compared to other organizations working on similar issues, does it do the same thing better or is its work different? Consider how much of the charity’s inflow goes to administration and overhead. Charity Navigator, GiveWell and GuideStar have websites can give you a useful overview of charities, especially in comparison with one another. Many experts say donating to local charities in a disaster area does the most good. 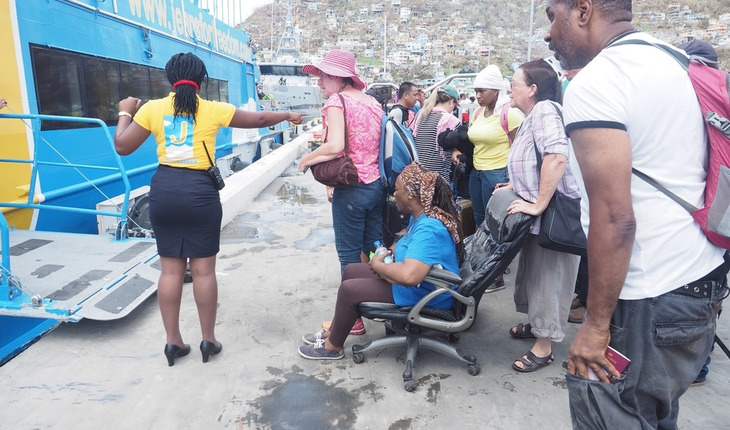 Local groups can spring into action without having to transport people and resources into an area still coping with the aftereffects of a disaster. Smaller organizations tend to rely more on volunteers and often spend less money on fundraising, so donations go further. If you’re not sure where to start, a quick online search for the name of the disaster in question and ways to help will usually bring you to lists compiled by reputable news outlets. The Federal Emergency Management Agency (FEMA) also offers suggestions. You can use these lists as a starting place, but be sure to check for a solid track record of effective and efficient aid before you contribute. Many of the calls for help from disaster victims on sites like GoFundMe are real, but others are from people taking advantage of strangers’ generosity. All else being equal, give to a vetted charitable organization. Your gift will go further, and you can be pretty sure it will get to people who need it. Donating tangible goods like clothes or bottled water may seem helpful, but you should nearly always resist that impulse. For anyone who isn’t near a disaster area, and even for most who are, donations of cash or securities are almost always the best choice. Texting a donation, while convenient, is usually not the best method, because charities have to wait on the phone company to release the money. Donating directly via a charity’s website will get the money to its destination quicker. If you itemize deductions, gifts to charities recognized by the Internal Revenue Service are tax-deductible. Besides saving you federal income tax, gifts also often reduce your state income tax. Always keep a receipt of all your donations in case you’re ever audited. Consider giving appreciated securities, such as shares of stock or mutual funds. Such a gift can stretch your generosity further because you’ll avoid the long-term capital gains tax on the appreciation. Giving an appreciated security directly allows you to transfer extra value. Never sell an appreciated security and donate the proceeds after paying tax. But if you want to donate any security that’s lost value, do the opposite. Sell it, take the capital loss and donate the proceeds. You’ll cut your tax from both the capital loss plus the amount you donate if you itemize. Many charities receive a great deal of support right after a disaster, but find that it trickles off in the long weeks and months of rebuilding. Consider setting a calendar reminder in a month or two to donate again when the need may be even greater. Or consider making an automatically recurring donation monthly or quarterly.